NEW IN STOCK. 'CARBON BLACK- METALLIC'. DATE OF REGISTRATION: 23/03/2015. HPI CLEAR. ONLY two registered keepers from new; same private owner since 2016. 2 Keys. Comprehensive Maintenance History. 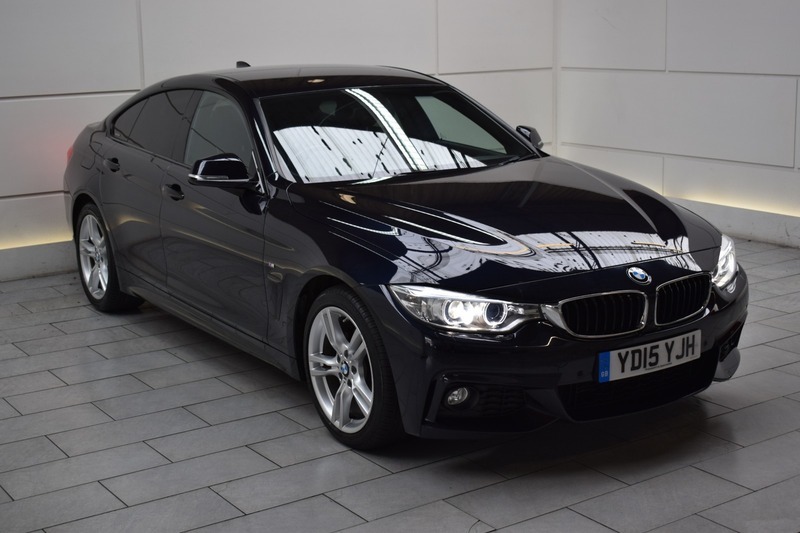 Serviced at: 12756 miles, 28810 miles and 37786 miles (the first service was completed by BMW, the other two have been completed by Stoneacre Peterborough). Highly desirable options when ordered new include: Professional Satellite Navigation, Bluetooth Telephone Connectivity, DAB Radio, Paint option: Carbon Black, Full Black Leather Interior, Heated Front Seats, ISOFIX, Front / Rear Parking Sensors, Xenon Headlights, Dual Climate Control, Cruise Control, Privacy Glass, Electric Tailgate and Xenon Headlights (with daytime running lights). AA Approved Dealer. 12 month AA Breakdown Assistance included. Finance available. Part Exchange Welcome. Visit our website: www.rdmdirect.co.uk to view our latest diversified stock listings.